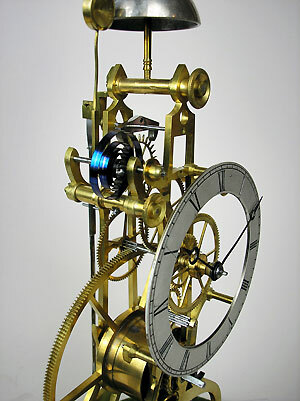 This is a fine and rare Great Wheel skeleton clock by the Grey Brothers of Belfast. 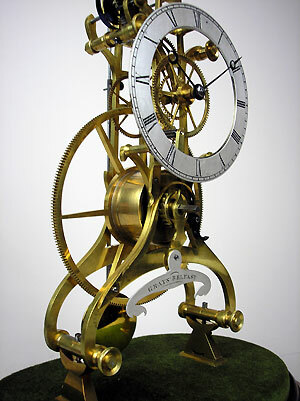 The clock has a 14 day movement with a passing strike as well as very finely executed five and six spoke wheels. 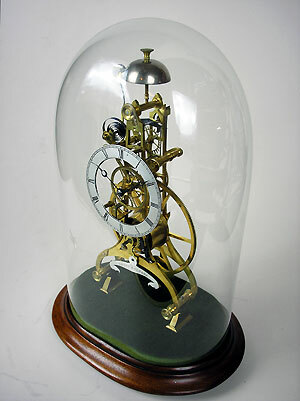 The clock is on a mahogany base under the original glass dome. 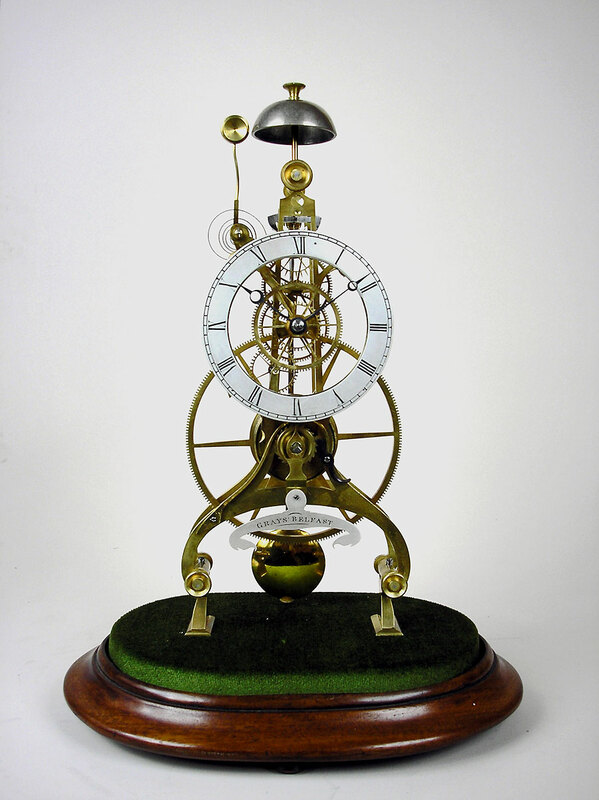 The maker's name is on a silver plaque and the frame is called Inverted Y-frame, which is a sign of an early make.